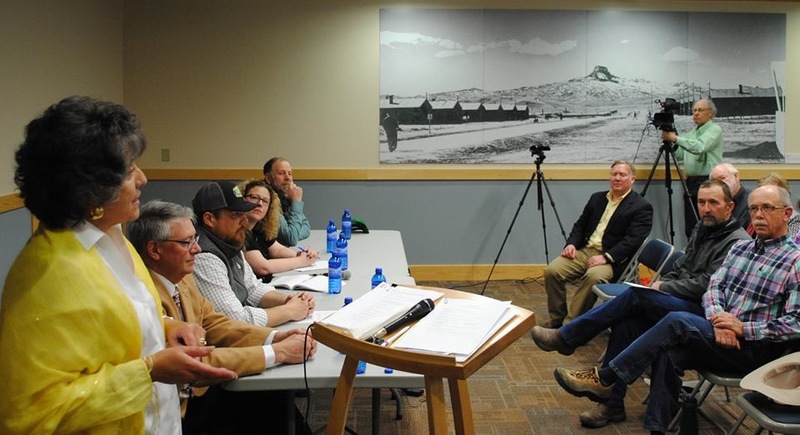 Thanks so much to the speakers and audience members who joined us on Wednesday evening for an illuminating panel discussion about the vital role non-citizen workers play in the economy of Park County. Our panelists included Wyoming State Representative Dan Northrup, Jeremy Blaylock (Owner of Granny’s Restaurant in Cody), Renee Nash (Director of Housekeeping at the two Best Westerns in Cody), Tina Finneman (Human Resources Director at Blair Hotels in Cody), Regan Smith (a farmer and rancher in Powell, and Matt Hall (Mayor of Cody). Discussion included the strong work ethic of non-citizen employees, the complications and difficulties of the paperwork involved in hiring foreigners, the need for these workers, and the ways they engage with our communities through civic participation and financial contributions. Thanks as well to our co-host, Heart Mountain Interpretive Center, for putting together this special event!